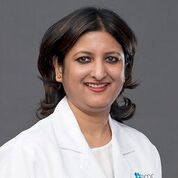 Dr. Divyashree completed her MBBS in Radiology from Lokmanya Tilak Memorial Medical College in 2000 and MD from Kasturba Medical College, Mumbai in 2005. She was Associate Professor in the Department of Radio Diagnosis. Her area of interest includes General USG, Color Doppler (of breast, thyroid, musculoskeletal), MRI imaging and Mammography. She has more than 13 years of experience in Radiology. She can fluently speak English and Hindi.